Recently some users come to me and complain that when they were transferring music in PC to iPhone (about 8,000 songs), they accidently plugged the USB cable out (around 5,000 songs completed), resulting in failure of sync. Worse still, iTunes displayed that 35GB of 'Other' space was occupying their iPhones. 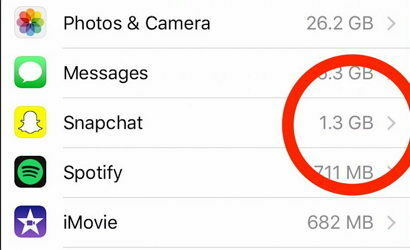 (None of the apps would account for the 35GB of space taken up.) Frankly speaking, it is the corrupted media files of the failure syncing that leads to the situation. Instead of restoring iPhone, I will recommend you to remove corrupted media files on iPhone7 (Plus)/6s (Plus)/6 (Plus)/5s/5/4s/4 with Tenorshare iCareFone, the best free iPhone cleaning software. Part1. What Leads to Corrupted Files on iPhone? Part2. How to Clean up Corrupt Files on iPhone Completely? You may	be curious of what leads to corrupted media files on your iPhone, and followings are the most common phenomena. Abrupt power failure during upgrades (copying video or music files) would lead to damaged media files. Application errors or system breaking would create crash data on iPhone. Any virus attack to iOS device cause data corruption. If the internet connection is lost during downloading or the freezing device makes corrupt media files. Flaws in the hard drive's files system section or the faulty hard drive itself contribute to the accumulation of corrupt files. Here are five common reasons that lead to crash files on iPhone. Then how to delete corrupted song/video from iPhone permanently and clean up storage would probably be your biggest concern. Tenorshare iCareFone is designed to offer you all-round iOS device care and protection. When it comes to damaged media files deletion on iPhone, it also won't let you down. Step1. 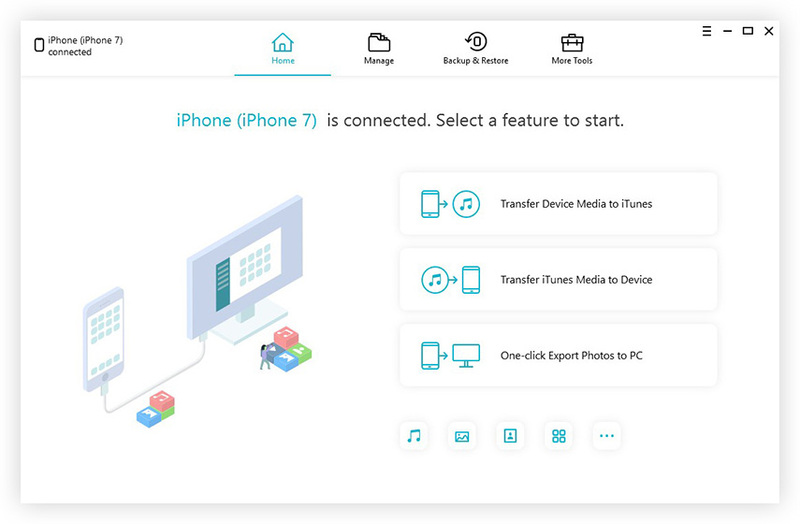 Launch Tenorshare iCareFone and connect your iPhone to PC, then go to the "Speedup&Clean" section on the main interface. Step2. Select "Quick Scan", and soon the total space can be reclaimed will be displayed. Click "Clean" right alongside "Large Files". Step3. 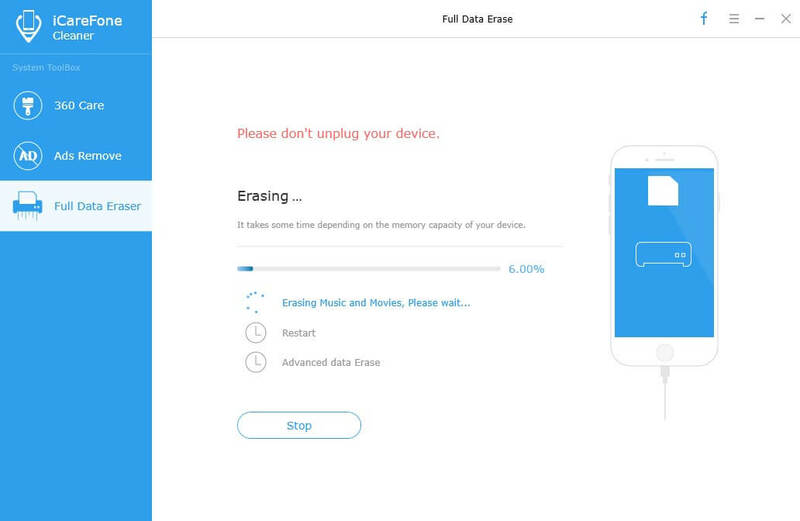 Now Tenorshare iCareFone lists big files that are eating up most of your device's storage. Choose these big files and click "Backup&Delete". After that, the big corrupted files will be erased. That is the way to delete crash data on iPhone without restore. Hope Tenorshare iCareFone will become the most reliable optimizer to your iPhone. Apart from iPhone storage space cleaning, it also offers you free iPhone files manager (with which you can transfer music/video/contact/note/photo faster and more secure), backup and restore, ads remove, iOS stuck fix and operating system repair. For more, you can visit the website of Tenorshare. Thank you and have a nice day!